Hotel X Toronto President Henry Kallan has announced that American Standard and DXV, both part of the LIXIL Americas brand portfolio, have partnered with the hotel to provide bathroom fixtures throughout the property, which is slated to open this summer on the Exhibition Place grounds in Toronto. In addition to DXV’s Rem faucets with custom cross handles designed exclusively for Hotel X, LIXIL’s portfolio of luxury bath and kitchen products will be featured in a variety of hotel suite configurations, including the Seagram Collection freestanding tub with Contemporary Floor Mount Bathtub Faucet, and Contemporary Round Shower Heads. American Standard will furnish suite bathrooms with its Boulevard Collection one piece toilets and undercounter sinks, as well as communal washrooms with a selection of its commercial line fixtures. Hotel X Toronto will have 404 rooms including double queen bed and single king bed configurations, as well as suites with kitchenettes, all featuring faucets and fixtures from both LIXIL brands. 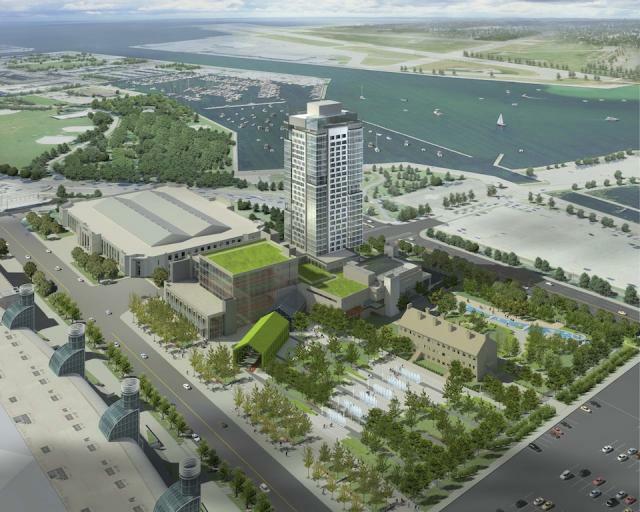 In addition, Hotel X Toronto’s plans include over 26,000 square feet of meeting space, many with lake views; two cinemas; two swimming pools; seven bars, restaurants and lounges including the three-storey rooftop “Peregrine SkyBar”; and TEN X Toronto, a 90,000 square-foot athletic facility with multiple indoor tennis and squash courts, yoga, cycling and Pilates studios, and Technogym equipment. Hotel X Toronto will open in summer 2017.